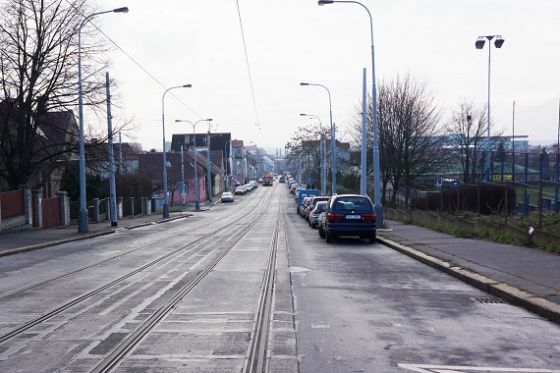 The impetus for a comprehensive solution was the planned reconstruction of the tram line, making it possible to work with the entire street as a whole. This lesser known but historically significant road first runs through the original heart of the Kobylisy village with its low buildings and lively street life, then a busy intersection with the metro station, and then continues through a quiet residential area with gardens. All functions and types of transportation must be fit into a relatively narrow street area. Another reason for the conceptual study was to coordinate individual utility providers and investors. 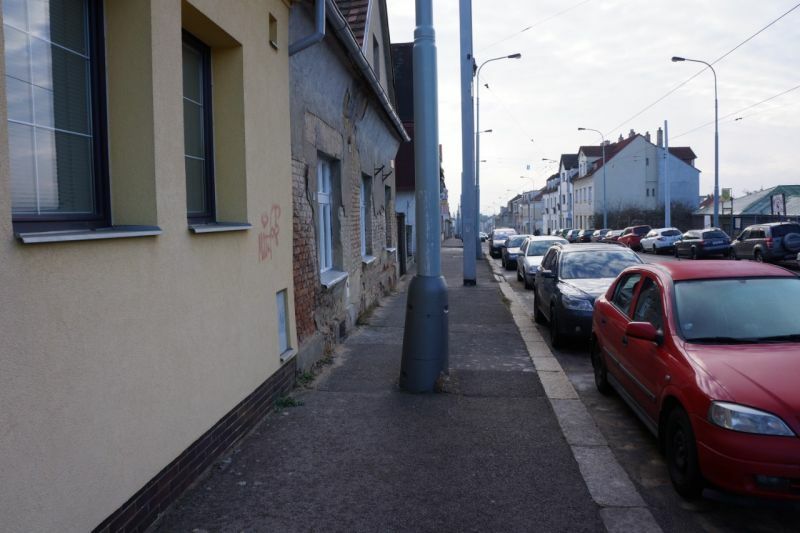 We were able to successfully convince the utility companies to participate in the general reconstruction of the street to avoid digging up the street repeatedly, which is both expensive and unpopular. 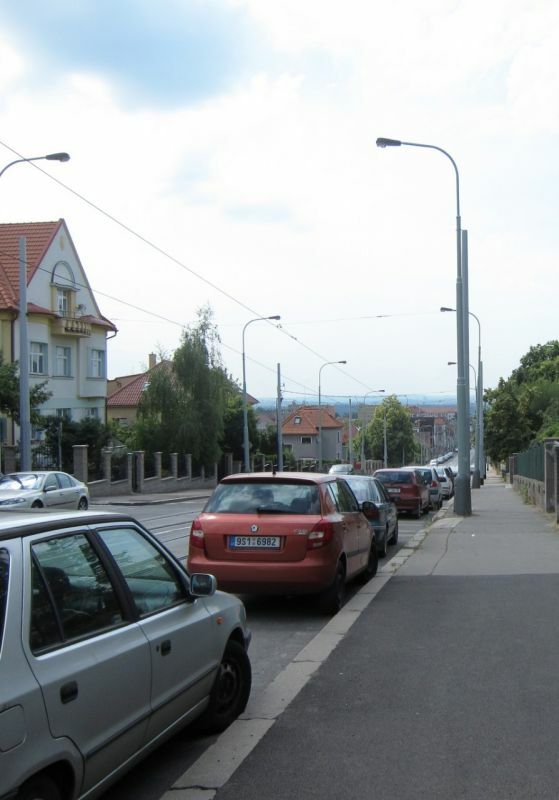 Lighting and traction lines use the same poles, which saves space on sidewalks. There was also much discussion about finding an inexpensive by esthetically suitable choice of surfacing outside the high-profile, historically protected part of Prague. 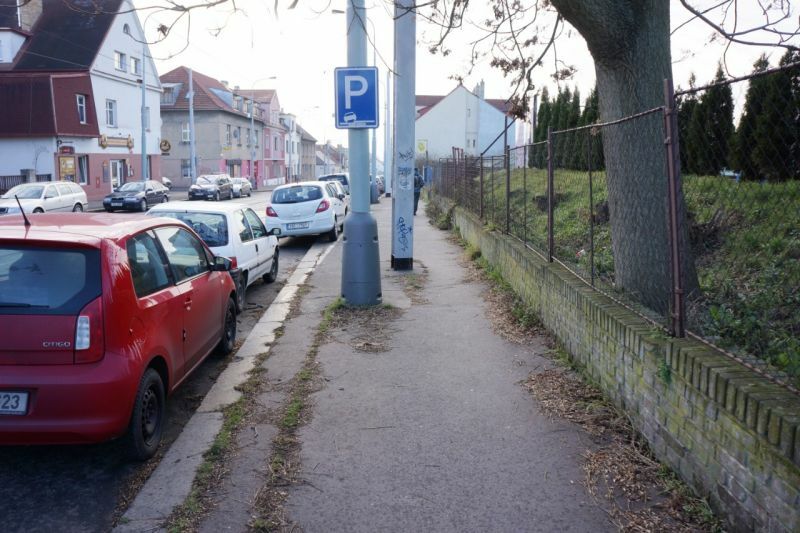 In addition to changes to improve normal use, in the area of villas at the sprawling intersection with Veltěžská St. the plan calls for a public space with trees, furnishings and playground equipment. To cool down the northern end of the street a row of trees will be planted on one side. Klapkova is the first conceptual study for which design documentation was prepared and approved. During this pioneering effort to conduct a study to improve municipal space, there were several conflicts with common practice given by technical requirements, standards and building codes. The final design is therefore a compromise. The experience gained from this phase will be particularly valuable for the preparation of other conceptually oriented public space projects. Klapkova Street is an important historical road that runs through the center of Kobylisy. 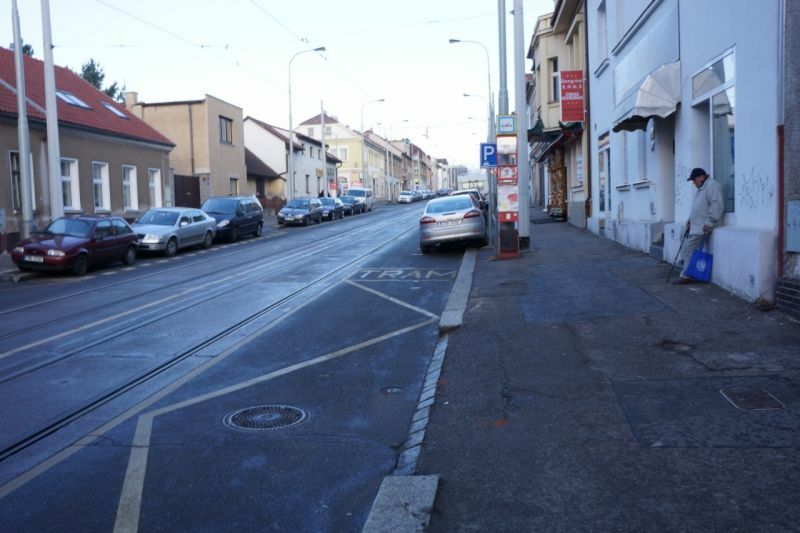 Reconstruction of the tram tracks provides an opportunity for broader considerations of the general character of this public space.